Took my bike out for a a first proper ride after rebuilding it and it won't rev over around 6000 revs. It's fine around town, rides perfectly and is responsive but on a faster road when you try to open it up it bogs down as it it isn't getting enough fuel. I've had the tank off for painting and I think the main fuel pipe may be the problem. I thought I had put it back as it says in the manual but the pipe has a 180 degree bend on itself flattens where is bends. If you are familiar with your fuel system, can you yo look at my pic and tell me if it looks like it should. 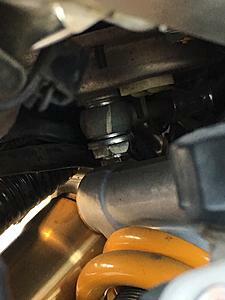 The F3 and the F4i have different fuel delivery systems don't they, mine has a banjo bolt fitting as the main fuel pipe, this is the one that I think is causing me the issues. Its backwards. They told you that in the other thread. I am pretty sure you already have checked this, but the tank breather hose sometimes can have a kink etc. I don't really think that bend would cause you such obvious problems. Since you said you rebuilt the bike, probably worth going through the air/vaccum lines which you may have played with(lets say for throttle body sync) once more. Does it idle fine or needs throttle on cold mornings? wth is going on here? 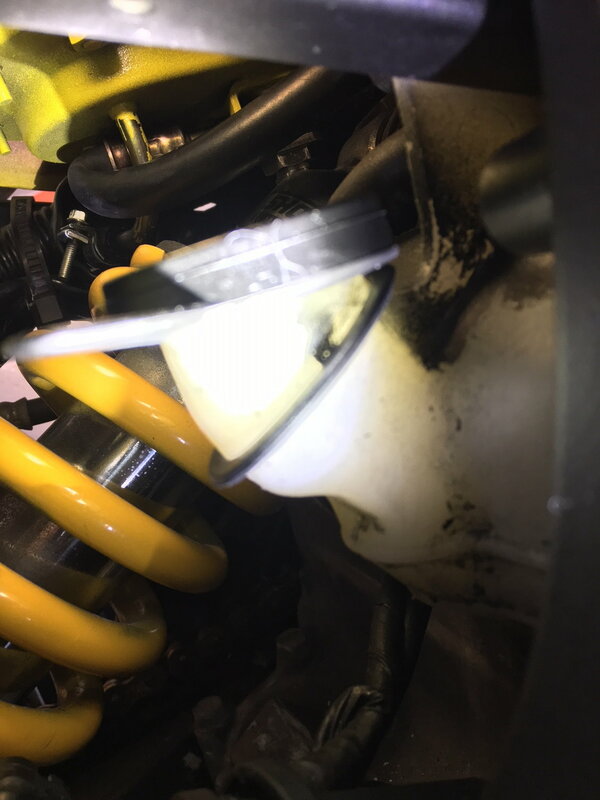 fuel line on carb?